The Egyptian Pharmaceutical Trading Company (EPTC) contracted with the armed forces logistics authority to import 12 million cans of baby formula to be available in pharmacies at a price of EGP 30 per can, the company’s spokesman said on Sunday. 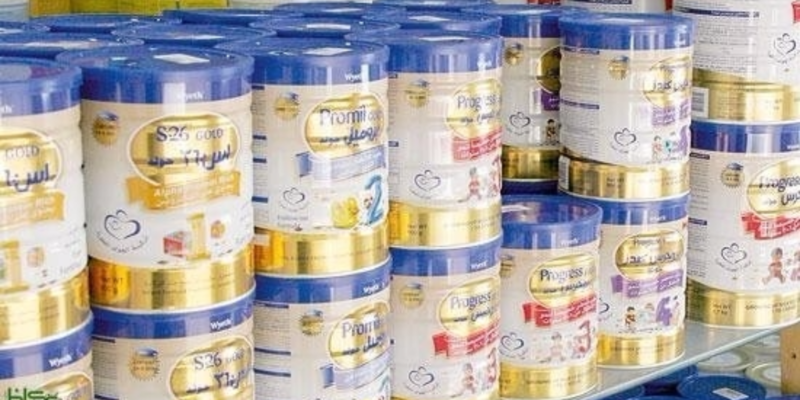 The company has also contracted with the Ministry of Health to import 18 million baby formula cans to be available to 1,005 Primary Health Care Units across the country at a price of EGP 5, spokesman Karim Karam added. Last Thursday, dozens of mothers demonstrated in Cairo against a hike in prices and severe shortage of baby formula after the Minister of Health announced that the subsidized infant milk will only be available in Primary Health Care Units and will not reach any pharmacies as before. Minister Ahmed Emad said then that the decision was made to combat leaking and unlawful trading of the formula and to make sure that it reaches the people who need it. But families held protests outside the EPTC building in Cairo demanding an immediate solution for the crisis as some traders exploit the shortage in the milk and sell it at high prices. The armed forces said it is coordinating with the health ministry to import the baby formula to be supplied in pharmacies at a reduced price of EGP 30 instead of EGP 60, given that a number of companies exploited the product’s shortage and offered it at high prices. The first shipment of the imported formula is set to arrive on September 15. Head of the local center for the right to medication Mahmoud Fouad said the baby formula crisis is due to “poor distribution” of the product. He added that the Ministry of Health has set requirements for the subsidised baby formula that excludes a large segment of working women.